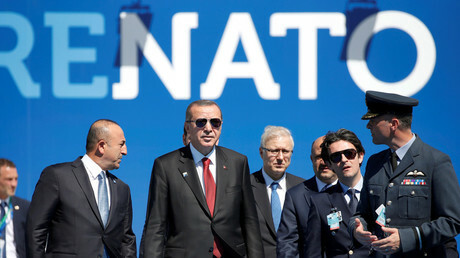 “We don’t have exact evidence or document to determine that it went down with any outside interference,” Yildirim told reporters on Saturday, as cited by AP. 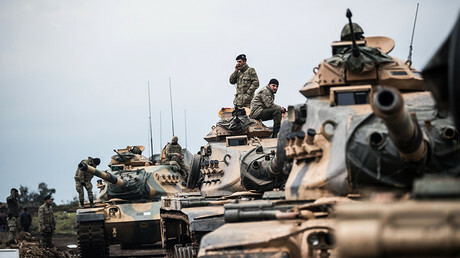 A representative of the Kurdish militias said that the chopper was shot down by Kurdish fighters over an area located northwest of Afrin, as reported by AP. Israel said it later targeted at least 12 other sites “including three aerial defense batteries and four Iranian targets that are part of Iran’s military establishment in Syria,” according to a military statement. 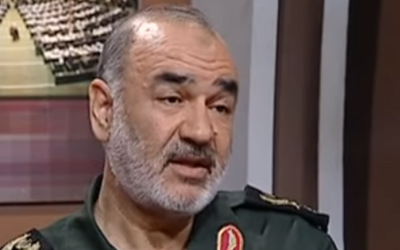 Brigadier General Hossein Salami refused to confirm to the Tasnim news agency that an Iranian drone had been shot down. “We cannot confirm this report on the drone because Israelis are liars … if Syrians confirm it, Iran will confirm it as well,” said Salami, according to a Reuters translation. A Syrian military official said that his country would continue to respond in kind to all attacks on its soil. “Our defense systems hit a number of missiles as well as an Israeli aircraft that had been carrying out attacks south of the Damascus capital, to its west and on the outskirts of Homs,” the Syrian official told the Lebanese El Nashra news outlet. He added that the damage sustained from the Israeli aircraft fire was limited to property, but acknowledged that a number of soldiers had been injured as well. The Hezbollah-affiliated Al Mayadeen TV station claimed that the Syrian military had managed to intercept 70 percent of the dozens of missiles fired by Israel’s warplanes. The Israeli army responded to the drone infiltration with strikes on Iranian targets, including the drone’s launch site — the Tiyas Military Airbase near Palmyra — which the army said it hit in “a complicated surgical strike.” The strike reportedly targeted a facility housing the unmanned aircraft’s Iranian operators. Damascus residents celebrated the news. He warned that Syria and Iran were “playing with fire,” but stressed that his country was not seeking an escalation. Sirens sounded in northern Israel throughout the morning as a result of the massive Syrian anti-aircraft fire. Several Syrian anti-aircraft missiles fell inside Israeli territory, causing no damage. 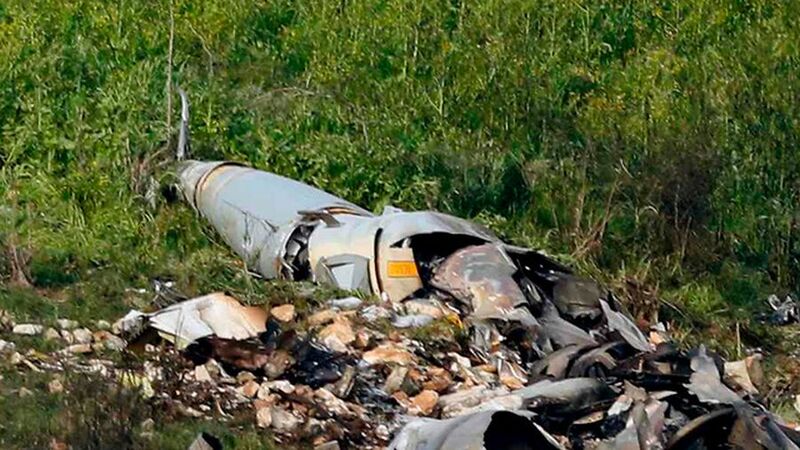 In Lebanon, too, missile parts rained down from the sky. Air raid sirens sounded in the Golan Heights and upper Galilee, warning residents of potential rocket strikes. In a major flare up on Israel’s northern border, Israel carried out a large-scale attack against Syrian air defenses and Iranian targets in the war-torn country after an Israeli F-16 crashed during operations to strike Iranian targets in Syria early Saturday morning. The operation, which was carried out by eight Israeli jets struck 12 targets in Syria, including thee Syrian SA5 and SA17 air defense batteries and four Iranian targets. According to Syrian media reports, Israel struck the Abu Al-Thaaleb airbase near the town of Kiswah, which is home to Syria’s 1st armored division and part of the Islamic Republic’s buildup in Syria. The Israeli attack was met with anti-aircraft fire, triggering air raid sirens in the Golan Heights and upper Galilee, warning residents of potential rocket strikes. According to IDF Spokesman Brig.-Gen. Ronen Manelis, several missiles hit open areas in northern Israel. Early on Saturday morning, an Iranian drone, which was launched from a Syrian base in the Homs desert, was identified approaching Israeli airspace by the IDF around 4am, setting off alarms across Golan Heights and the Jordan Valley. The drone entered Israel via Jordanian airspace and flew for a minute and a half before it was intercepted by an Israeli Air Force Apache helicopter near the town of Beit She’an. According to Manelis, while the drone was Iranian and navigated by Iranian operators, Syria’s choice to fire its air defenses against Israeli jets shows that it has chosen to interfere in Israel’s fight against Iranian activity in the country. 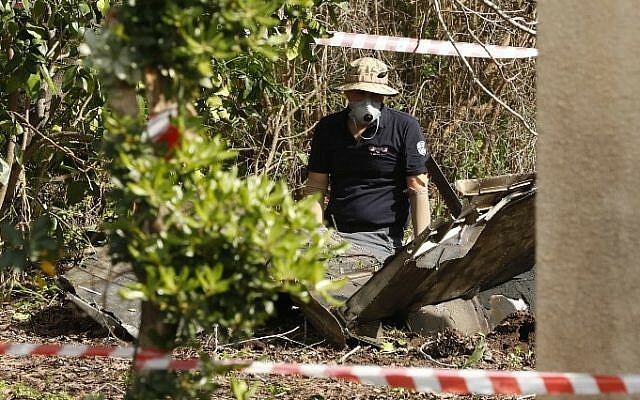 The IDF could not confirm whether the jet, which crashed in Beit Netofa Valley in the Lower Galilee, was hit by the anti-aircraft missiles or if it crashed for other reasons. Brig.-Gen. Bar stated that the entire incident is under investigation. An unidentified Syrian military source was cited as saying that the Syrians hit more than one Israeli plane. 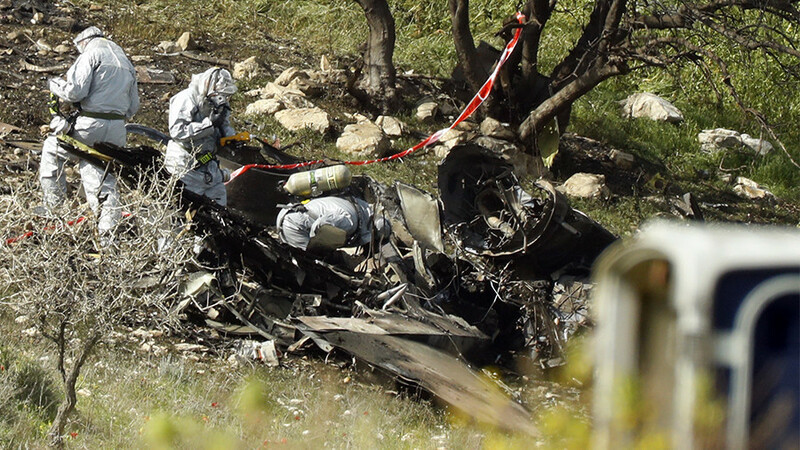 However, the IDF denied this report and confirmed that only one aircraft was damaged. 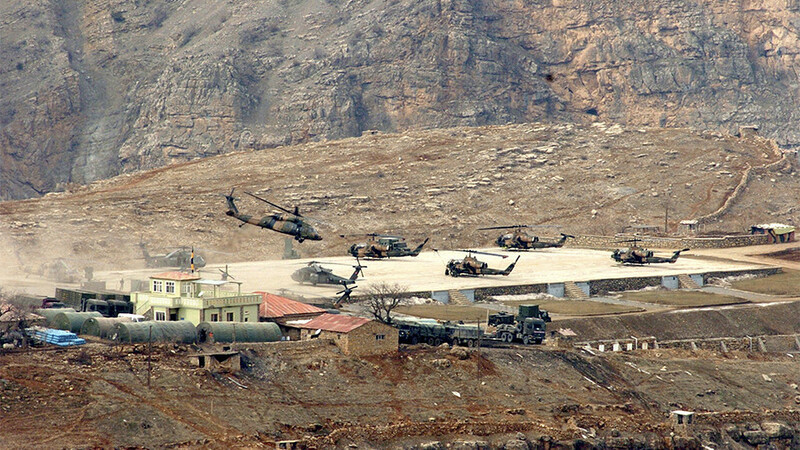 It was the first time that Israel lost an aircraft in a combat situation since 2006 when an Israeli Yasour (Sikorsky CH-53) helicopter was shot down over Lebanon, killing the entire crew including the first female flight mechanic in Israel’s heavy transport helicopter fleet. 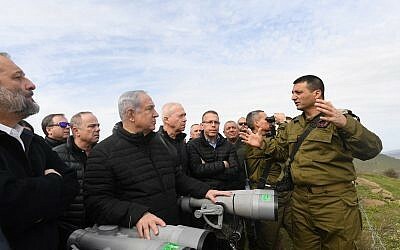 Israel’s top military brass and intelligence services held high-level consultations at headquarters in Tel Aviv with Prime Minister Benjamin Netanyahu,Defense Minister Avigdor Liberman and members of the security cabinet briefed on the situation by IDF Chief of Staff Lt.-Gen. Gadi Eisenkot. 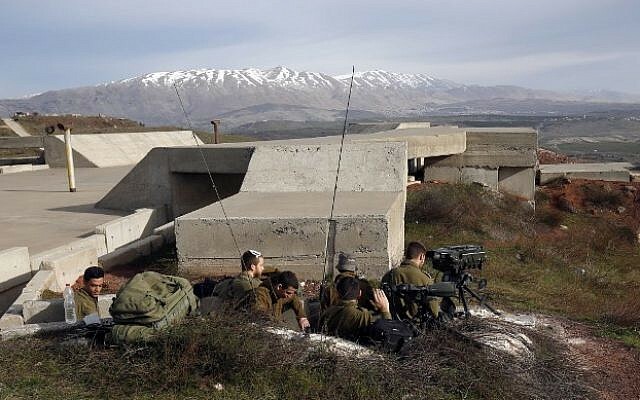 Tensions on Israel’s northern border have been rising in recent months as Israel fears that Iran is entrenching itself deeper into war-torn Syria with its presence on Israel’s borders growing in strength. The smuggling of sophisticated weaponry and the building a precision missile factory in Lebanon for Hezbollah has also been a growing concern for Jerusalem. 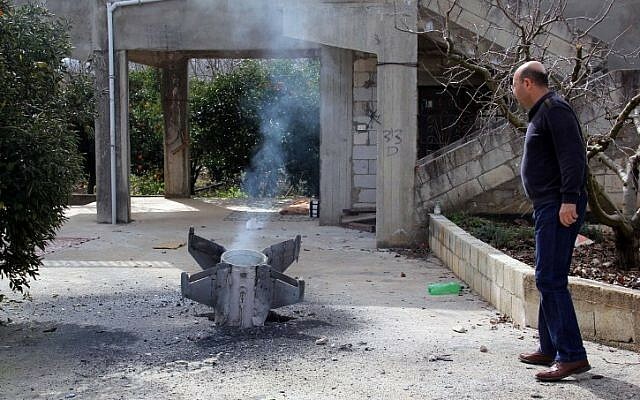 On Thursday, regime forces fired at an IDF drone with shrapnel hitting a home in the Druse village of Majdal Shams in the Golan Heights. Earlier in the week, Israel was reported to have struck an Iranian base west of the capital of Damascus. Syria’s official news agency SANA said Israeli fighter jets flying in Lebanese airspace fired a number of missiles towards the area of Jamraya research center targeting an Iranian base. While a number of missiles did hit their intended targets, several others were intercepted by the Syrian air defenses, the report said. 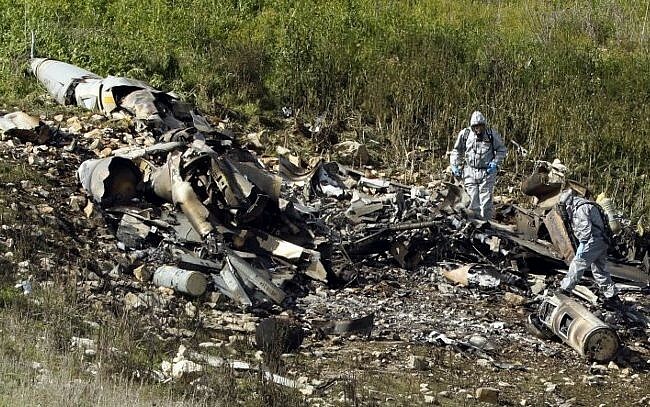 Iran and Syria on Saturday denied that the unmanned drone Israel said it shot down violated the Jewish state’s airspace, calling Israeli allegations “lies” and saying the drone was on a regular mission gathering intelligence on Islamic State. The Israeli military called the drone infiltration a “severe and irregular violation of Israeli sovereignty” and said Iran would be held responsible for its outcome, marking a dramatic escalation in tensions along Israel’s northern border. The drone incident led to a barrage of Israeli airstrikes on Iranian and Syrian targets in Syria. Syria responded with heavy anti-aircraft fire that set off multiple warning sirens in Israel and managed to down one Israeli F-16 in Israeli territory, seriously wounding a pilot. A Syrian statement said Israeli jets targeted a drone base in central Syria whose mission is to gather intelligence on IS in the area. It said the station was hit while drones were on regular missions in the country’s desert in Homs province. The statement said it was “a lie and misleading” to say the drone had entered Israel’s airspace.